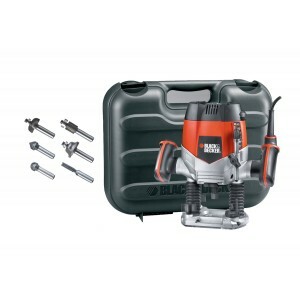 Black Decker KW900EKA RouterFeatures : 1200 W motor for long life and high performance6 router bits included for immediate useKit box included for easy storage of tool and accessoriesFlat motor housing enables product to be stood upside down fo.. 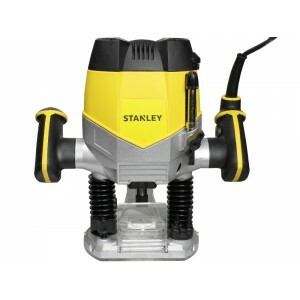 FEATURES of Stanley STRR1200 Router 1200W motor for long life and high performanceAluminium shoe, hardwearing for long life timeTriple depth presetting for adjusting plunge depth allows precise working in several stepsFlat motor housing ena..
Bosch POF 1400 ACE High Finish Plunge Router Features : Bosch SDS system enables easy, tool-free insertion of the template guide Integrated work light – the workpiece is always well lit Material-specific preselecti..
Hitachi M12SA2 Plunge Router Features : Powerful 1700W motor, Revolutionary new fan design offers increased cutting efficiency to rout smoothly through hardwoods All new ergonomic design with soft grip handles New fast and accurat..
Ferm PRM1015 Precision Router 1300wFeaturesSoft grips for optimal working comfortDepth adjustment for precision work: accurate 0.1 mm depth adjustmentsVariable speed controlWith 2 LED lights for work space illuminationWith connection for dust extract..
Hitachi M12SC Fixed base Router Equipped with an 900w motor, the new M12SC router will tackle the most demanding jobs. 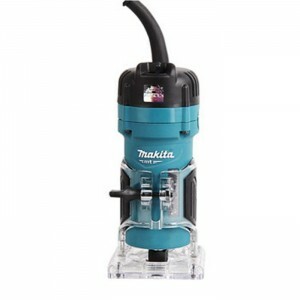 A tool-less, 2 stage motor release clamp and nickel plated motor housing allow you to make quick and acc..
Makita 8mm Plunge RouterModel no: M3601BSpecifications:Size: 8mm or 3/8"Power: 900wSpeed: 2700 rpm Capacity: 0-35mmCable length: 2.0mtrWeight: 1.4kgFeatures: Industrial, durable, economic..
Makita 6mm TrimmerModel no: M3700BSpecifications:Size: 6mmPower: 530wSpeed: 35000 rpm Capacity: 6mm or 1/4" colletCable length: 2.0mtrWeight: 1.4kgFeatures: Transparent base for clear view of trimm..
Bosch GMR 1 Mini Router Power and precision in your hand. 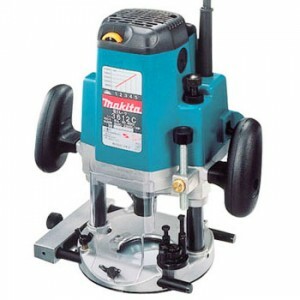 The handy tool for adjustment and routing work. 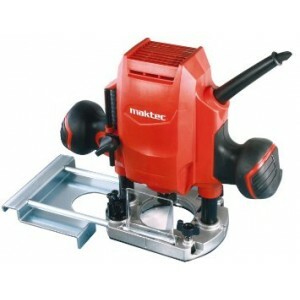 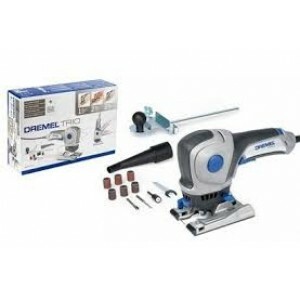 Applications: Very suitable for rounding off deck planks and railings, hinge mortising, decorative working on edges, groov..
MakTec MT361 RouterIndustrial performance and durability.3 Stage cut depth adjustment.Easy to read scale label for checking depth of cut.Trigger switch easily operable with the right hand gripping the knob.SPECIFICATION : C..
Optimal speed setting for materials.SPECIFICATION : Continuous rating Input	1,850W.Capacity	Collet: 12mm.No load speed (rpm)	9,000 – 23,000,Overall height	297mm,Base dia. 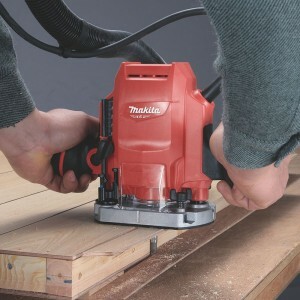 160Mm,Plunge capacity	0-60mm.Net Weight	6.0kg ..
Maktec by Makita MT360 1/2" Plunge Router Features: Simple but Powerful 1650W! 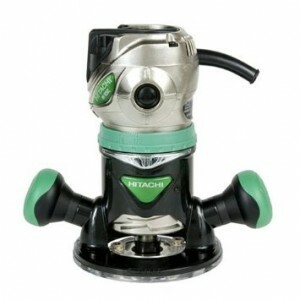 0 – 60 mm (0 – 2-3/8") plunge depth capacityfor easy penetration into or through workpiece. 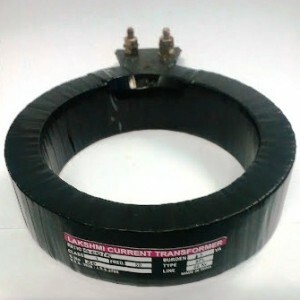 Specifications: Capaci.. 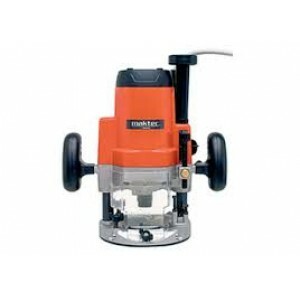 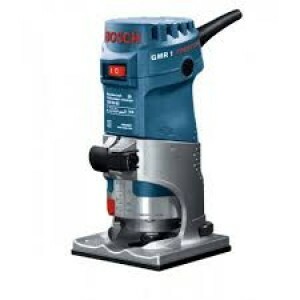 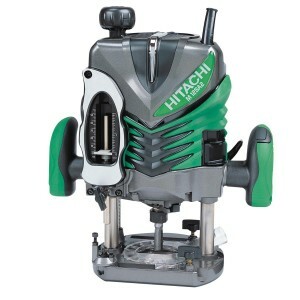 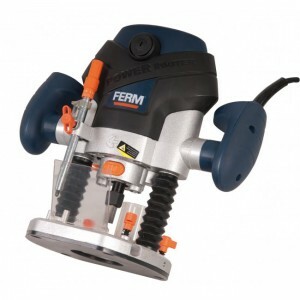 Heavy duty with powerful 1,650W motor ,0-60mm plunge depth capacity for easy penetration into or through work piece ,Ergonomically contoured knob style handles with rubberised soft grip ,Lock lever ,Shaft lock .. 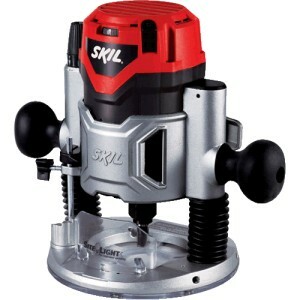 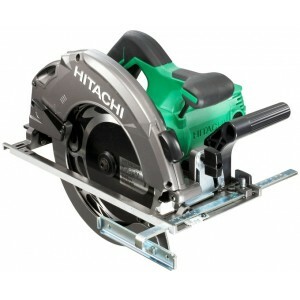 This item has been discontinued by the manufacturer and not available any moreSkil 1825 Palm Router 1/4" 520w Features of Skil 1825 Palm Router : Super light withoutstanding performance Powerful 520w motor for easy and fast routing,..
With the Skil 1827 plunge-base router, you can cut intricate patterns into wood and achieve professional-looking results. 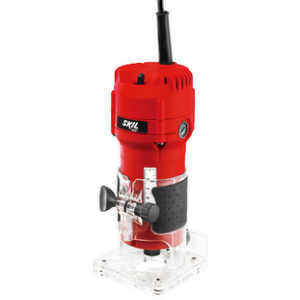 A micro-fine depth adjustment allows you to make precise cuts, while a depth rod and an adjustable turret enable repeatable plu..